PLUS: Now with enhanced Orange-Citrus flavor. EFACOR® provides premium potency and purity in a specialized, natural Omega-3 oils EFA supplement containing high-dose EPA and DHA. The omega-3 EPA DHA formula focuses on providing these strongly-researched substances with a synergistic blend of other Omega-3 derivatives. Manufactured under strict cGMP standards, EFACOR® is a highly purified fish oil – free of environmental contaminants. Essential Fatty Acids (EFAs) are beneficial “good” fats required by the body for proper function and health. EFAs are not made by the body and must be supplied in the diet. Without them, the body cannot be healthy. The average diet is high in Omega-6 EFAs, but is low in the health benefiting Omega-3s. And unfortunately, most diets are even lower in the two most important Omega-3s: EPA (Eicosapentaenoic Acid) and DHA (Docosahexaenoic Acid). These are almost exclusively found in marine (fish) sources. Every team has its “Most Valuable Players,” and when it comes to the Omega-3 Team, EPA and DHA are MVPs. EPA and DHA are the two most studied derivatives of the beneficial Omega-3 fatty acids. EPA and DHA are recognized by the scientific community as critical in providing the majority of health benefits associated with Omega-3s. Although products tout the health benefits of Omega-3s, many are relatively low in the most important ones: EPA and DHA. 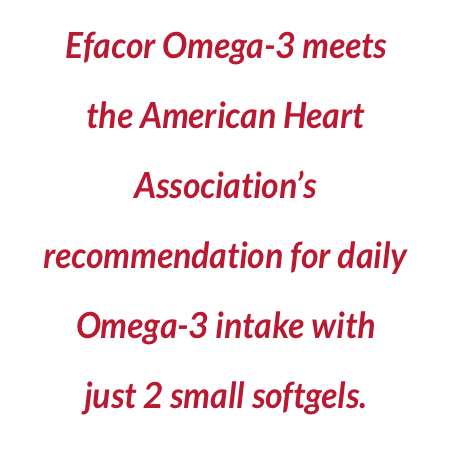 Efacor is a concentrated, pharmaceutical quality, Omega-3 dietary supplement. It provides prescription potency EPA and DHA. Efacor Omega-3 is guaranteed ultra-pure, free of environmental contaminants and to have exceptional taste. 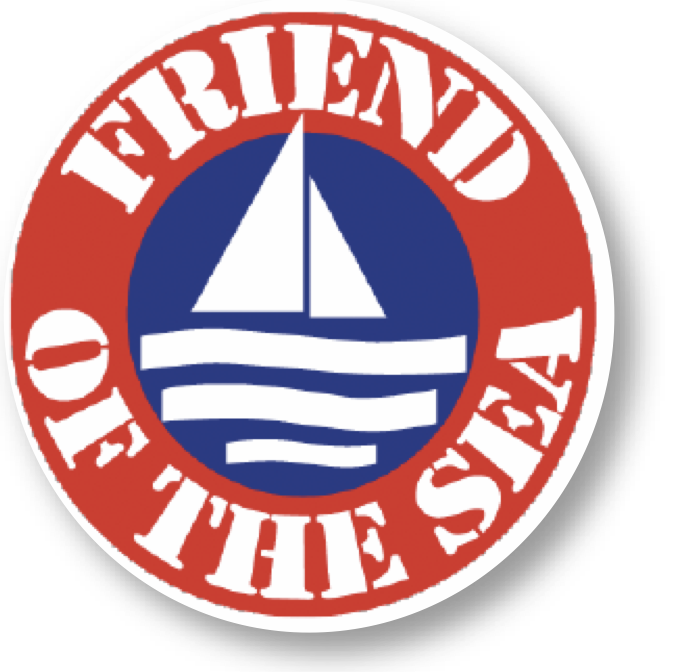 Plus, it is responsibly sourced and Friend of the Sea certified. Plant or marine source of Omega-3s? Although Omega-3s can be found in high concentration in plant material (such as flax) the body must convert these “upstream” Omega-3s into the most active forms: EPA and DHA. Most experts agree this conversion of upstream dietary Omega-3s (such as ALA) for the average (non-pregnant) individual is between 1-10%, dependent upon metabolite. In addition, increased age, digestive challenges, ill health and poor quality plant oil can lower this rate even further. Most agree direct supplementation with the active Omega-3 metabolites EPA and DHA are the best way to supplement one’s diet. • Remember, the two key Omega-3s are EPA and DHA. • EPA and DHA are virtually absent in vegetable sources of Omega-3s. • To obtain EPA and DHA in substantial quantities, we must turn to marine (fish) sources. How can I increase my EPA & DHA Omega-3s? Fish is the most significant source of beneficial Omega-3s. Unfortunately, warnings against consuming large quantities of fish exist due to concerns over environmental contaminants and some individuals do not like the taste of fish. This is where supplementation helps. Healthcare professionals recommend a high-potency Omega-3 dietary supplement with concentrated EPA and DHA, like Efacor Omega-3. In addition, the American Heart Association (AHA) recommends the daily dietary intake of Omega-3s EPA and DHA at 1,000 mg per day for cardiovascular health. – Through the use of advanced purification techniques, such as sequential molecular distillation, potential contaminants are removed. **FDA evaluated the data and determined that, although there is scientific evidence supporting the claim, the evidence is not conclusive. 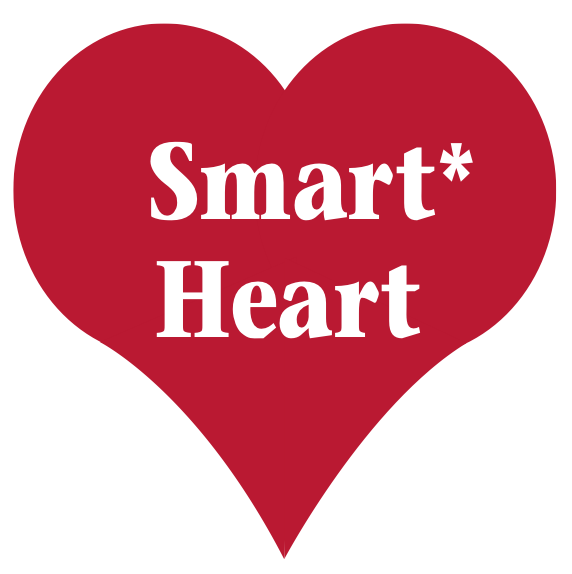 Omega-3 is excellent for heart and brain health. The capsule is easy to swallow, and I take 2 capsules every morning. I experience no fishy aftertaste. Excellent!